Hi Everyone and the Happiest of New Years to All! Hopefully, everyone had a wonderful holiday season! We are revving up here for new and fantastic projects and ideas as we head into the coldest part of our year! The Lucky 7 Sweater Pattern is new and hot off the press. 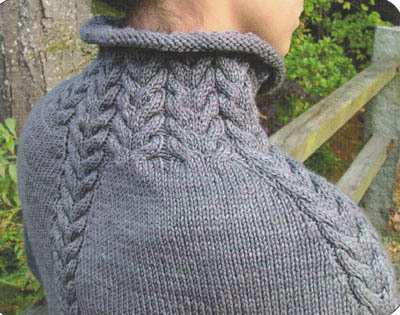 This traditional sweater features a beautiful seven band cable and has unisex styling. 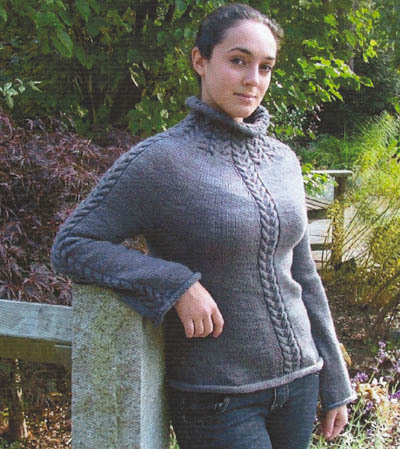 This gorgeous sweater has been knit using the wonderful hand-dyed Ivy Brambles Shetland yarn! 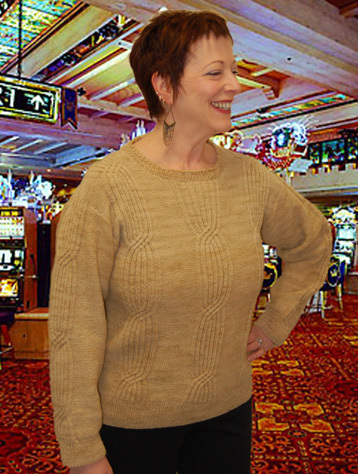 Have you seen the Gosport Sweater by Allison Green Will? Amazing! Top down knit with spectacular cables and takes only 5-6 skeins of Ivy Brambles Superwash Worsted weight! Jade Sapphire and Bad Cat Designs Patterns have recently been added to our pattern collection! These patterns range from hats, shawls, sock and sweaters with one thing in common - they all use cashmere.... 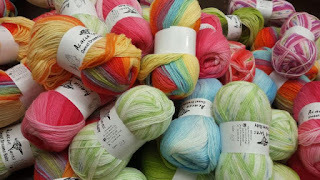 Many simple and elegant patterns are featured using 1 to 2 skeins of cashmere.... oh, la, la! Will you be our next lucky winner? It could be you if you have signed up for our Prize Giveaway. It's easy! Just go to our website click on the Prize Giveaway link on the right hand margin and enter your info! We will be drawing a new name sometime before the end of January 2010! Good luck to all who have entered!